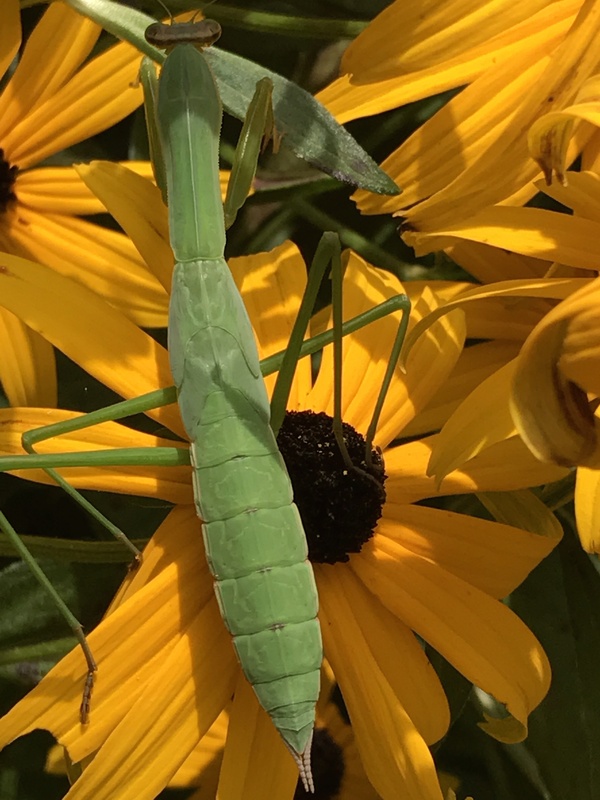 Nature Photo Journal | Patricia DeMarco Ph.D.
Last autumn I noticed a praying mantis egg case in the lilac hedge at the edge of the driveway. 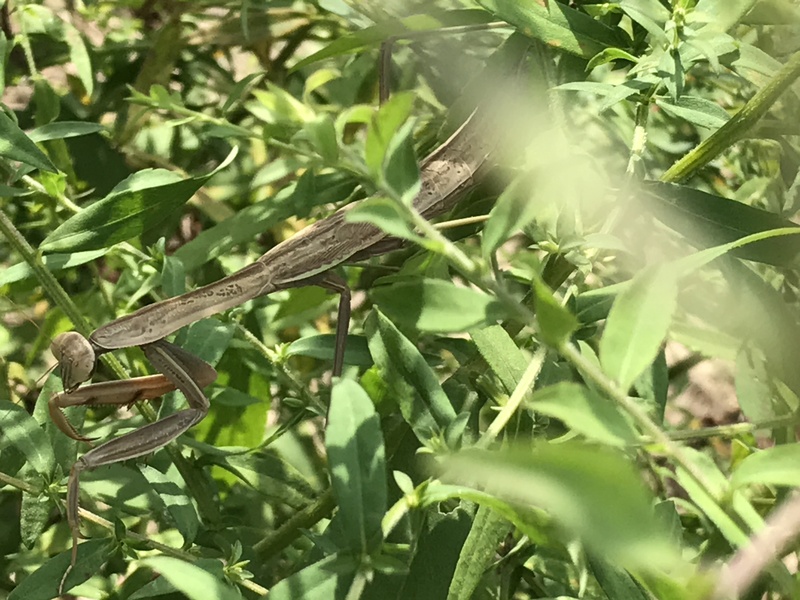 In the Spring, I noticed some small ones scampering about. Now, the third instar is foraging in the kitchen gardens – the pale green male and the tan female. In the next moult, they will have full wings. These two are likely from the same hatch, so hopefully they will fly afield for their own mates.